These beautiful milk bottles are a lovely way to serve milk on the breakfast table or anytime of day, or why not use one as a vase adding style to the whole house with fresh fragrant cut flowers. 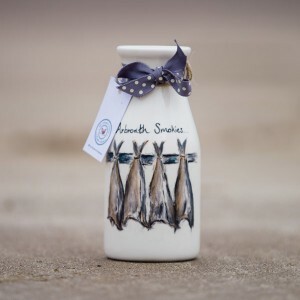 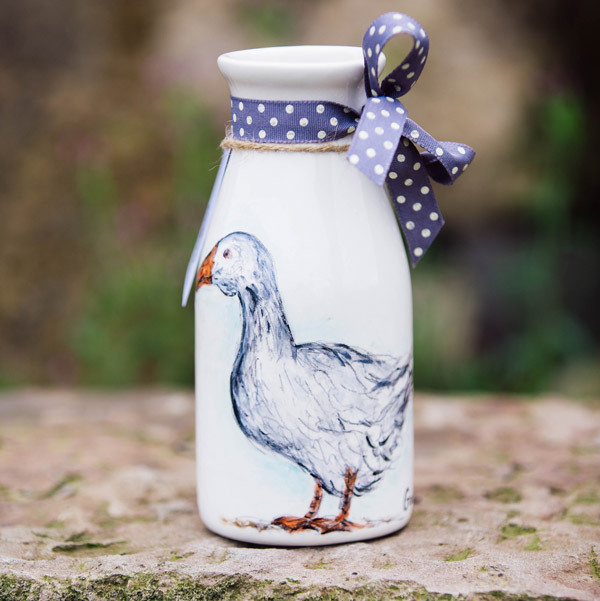 The milk bottles are part of an unique collection designed by Michelle Morton, hand painted, glazed and fired in the kiln at Cordon Farm Studio and finished beautifully with cotton ribbon. 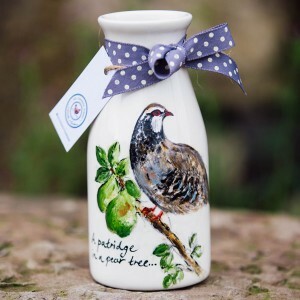 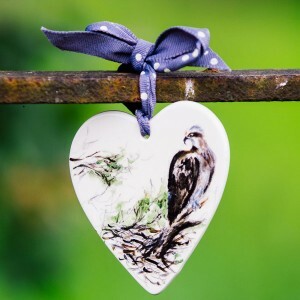 They make wonderful gifts for weddings, anniversaries and birthdays especially when they are personalised. 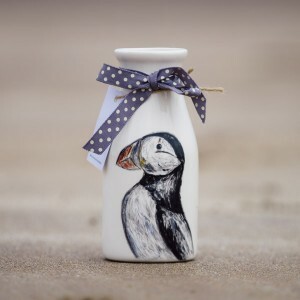 If you require a personal touch please contact me via my commission section.